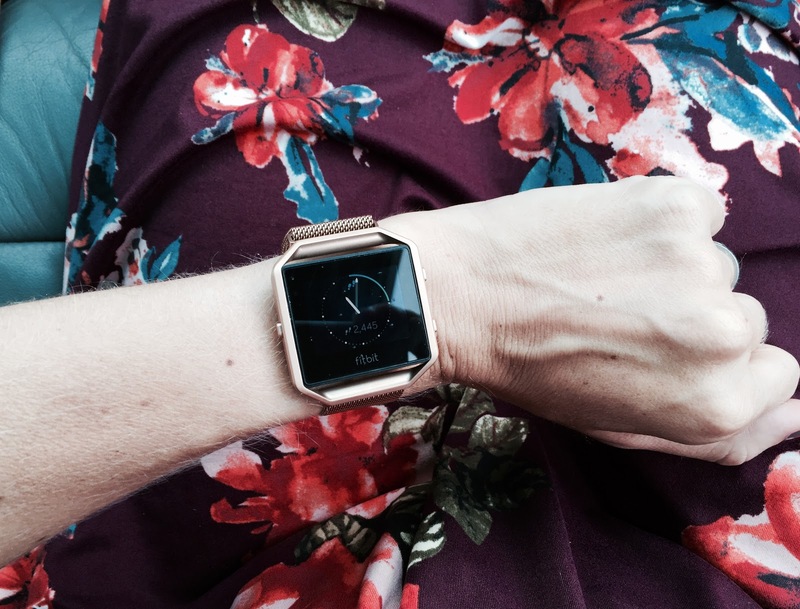 At the risk of sounding like a total crazyhorse (too late because hello this entire blog) I'm going to outline why I love (love LOVE) my Fitbit. Fitbit has no idea who I am and this isn't sponsored in any way shape or form, yada drone yada. Okay, let's get down to the nitty gritty. I wanted to wait to write about it until I knew it wasn't a short-lived phase and I've had it for almost 8 months now so - maybe it's a phase but at least it's a long one. Simon got me a Charge HR for Christmas - completely surprising me. I had said in passing that I'd be interested in getting one and had done very minimal research but it didn't feel like a high priority at the time but he remembered - and delivered. I have to admit that I strapped it on thinking I would easily get to the recommended 10,000 steps a day because hello! I walk around the house all day! I chase kids to change diapers and walk lots of diapers out to the trash and do I even NEED a Fitbit to tell me what I already knew? I AM ACTIVE!!! "you're so lucky you have an active mom, B"
Welllllll, I was wrong. The kids were sick over New Years and Bosco got hit especially hard so I chalked it up to having to rock him during the day quite a bit but I was getting 4,000, 5,000 maybe, 6,000 steps in a day with all my child chasing and diaper running and active living. So, I made a more concerted effort to takes walks with the kids and use our gym membership and was happy when I hit 10,000 steps during the day. I loved (still do) utilizing the calories burned feature to figure out which gym classes gave me the most bang for my buck and often (also still do) dragged the whole family out for walks in the evening to reach my goals. swing pit stop on one of our walks. Please note Phoebe's recent interest in all things fashun. This isn't meant to be a post about weight loss but I will say that, chalk it up to my age or my poor pregnancy food choices - I had thee hardest time losing the baby weight after Bosco's pregnancy. I always have to work at it but even with what I felt like doing what I'd done in the past (sensible eating, moderate exercise, and limited sugar) ... I still had a teeny tiny sliver of clothing in my closet that fit and after 7-8 months ... it was starting to get a little bit old and I was sick of hating putting on a swimsuit whenever we went to the beach. Anyway, surprise SURPRISE ... the more active I was with my walks and gym trips ... the weight finally started to budge and eventually come all the way off. Do I give full credit to the Fitbit? Not entirely but I do think it was a great catalyst to get me over the plateau that I'd hit. And do I think and advocate that anyone needs to be in a hurry to lose baby weight? Or lose baby weight at all? NO no no. Not at all. Just telling you my thoughts, feelings, and experiences like the sharebear that I am. So, like I typed - I had the Charge HR and really loved it but wanted something that completely replaced my watch (the Charge HR has a watch built in but Grace Vapid Patton) in the looks department and loved the idea of the Blaze. So, I gave Simon my Charge HR and used a gift card burning a hole in my Amazon account for the Blaze. And I loved it even more than I thought I would. It totally looks like a wannabe Apple Watch and people kind of look at it funny and ask ... is that an older version of the Apple Watch? Oh well. ... it's a magnet and if I flip it around it sort of just looks like a bracelet? But, I usually just stick with my leather strap because who cares. Okay! quick likes/dislikes and then I'll be DONE. - challenges: there are a few different types of challenges you can do with your Fitbit friends and they're just fun! I'm always blown away by how active some people are but it's fun to TRY to keep up with them. ... taking a totally not awkward photo during a wall squat hold as part of the 7 minute workout - I did it for you, folks. I did it for you! - in my experience it doesn't track steps very accurately when I'm pushing a stroller. I just strap it to my shoe lace which I don't mind at all but I'm sure it would bug some people! - the distance is generally off when I run/walk (usualllllly walk, let's be honest) on the treadmill. Or maybe the treadmill is wrong but they are always a little bit off. It doesn't bug me but just something to note! - I've seen people complain that you have to take it out of the band to charge it - again, doesn't bug me but I guess I can see why that would be annoying? I don't know. It does give me plenty of warning before I need to charge it and I usually charge it in the evening if I'm just sitting around anyway. ... RIP forever Fitbit. I've seen ads for this waterproof activity tracker but the reviews are all over the board so ... maybe Michael Phelps can come up with something better with all his free time these days. My sister-in-law just got one and I asked how she liked it and she said that she loves it because she does well with concrete goals which is exactly the way I feel. I love looking at charts and graphs and comparing last week to this week and setting little hourly goals etc. Here we have the is the app's interface - you can obviously look at things a lot more in depth by clicking on each category. It's fun to compare this week with last week and try to beat yesterday's active minutes etc. Or maybe that's just ME. 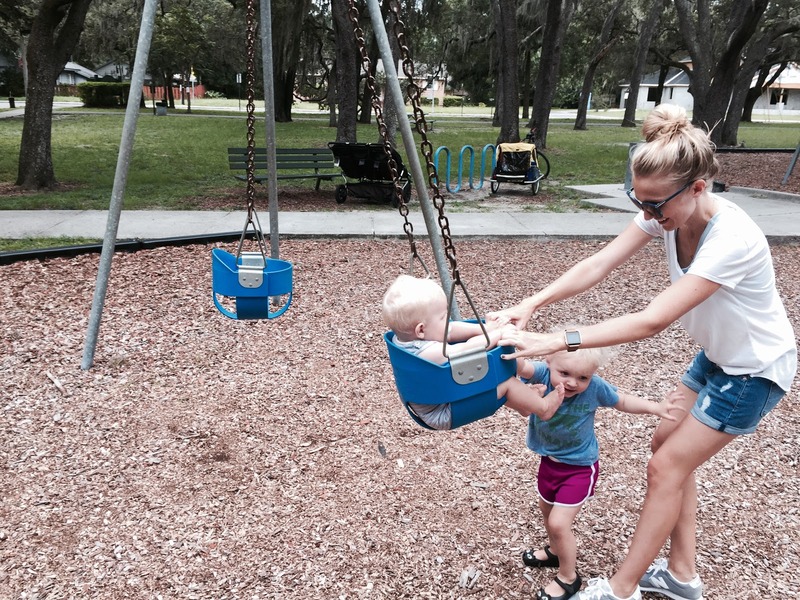 Bottom line: I sort of feel tricked into exercising and being active but it works - for me! I like seeing the numbers go up during the day and um, if that doesn't sell you I don't know what will. I know it's not for everyone and not all exercise is adequately measured in steps (going to a barre class gets me almost no steps but no one can argue it isn't a great work out - same with lifting weights or my favorite workout DVDs etc) but I love it and didn't think I'd love it as much as I do. I can't imagine you'd have any questions for the Fitbit expert after she threw down a dissertation on Fitbits ... but if you do I will enthusiastically answer them asap. Anyway, do you have one? I've heard that Fitbit's customer service is awesome and great about replacing broken or lost Fitbits but I can't attest to that - yet. I did call them once during precious oh, so precious naps because my steps weren't being accurately counted in a challenge which marked a real low in my life, I know. I KNOW. They didn't laugh at me though SO ... many points for them. I had a polar loop for almost 2 years, and I was in love! I liked the light up display and the sleep tracker. I recently switched to an Apple Watch and I don't find myself using it for steps like I should. On a trip recently I swtiched back to the Polar and I remembered why I loved it! You can also shower/bathe your kids/ romp in the Ocean in the Polar. Jury is still out on the Apple watch. I just got the Fitbit Alta and also love it! You're right it doesn't do HR like the Charge HR does, but I wanted something slimmer so I was willing to sacrifice HR for the more dainty look. :) Also, I totally agree with everything you said about it motivating you to move more! 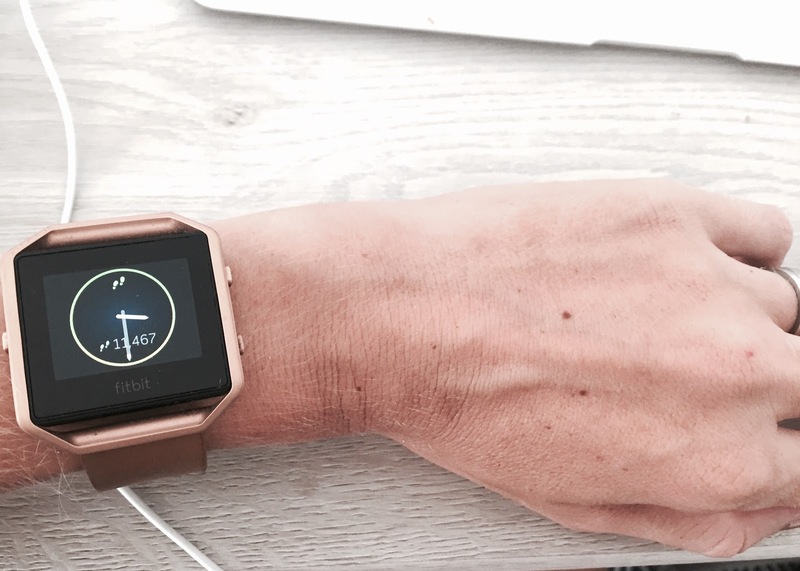 There's a company called Misfit that makes more attractive activity trackers. 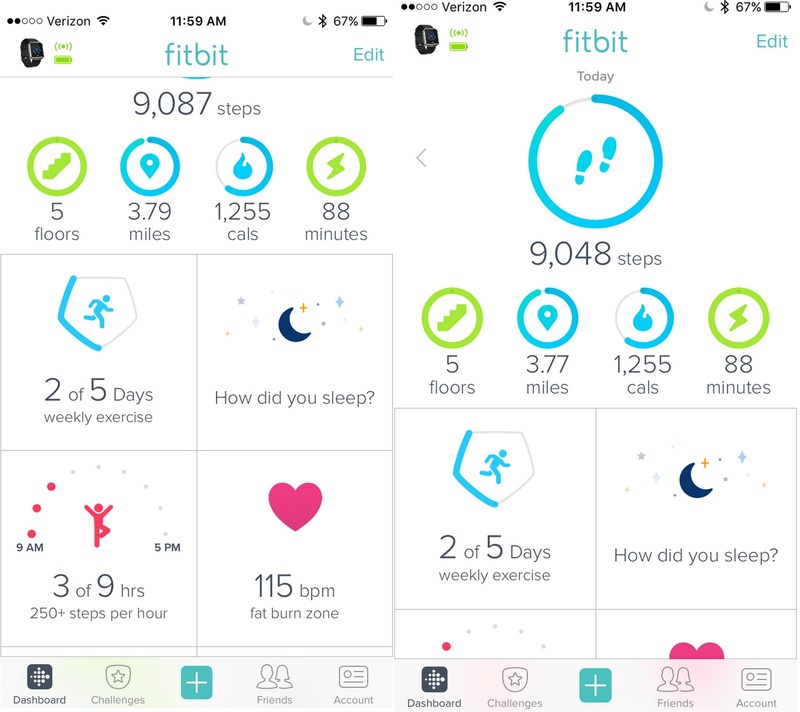 They don't have screens, but can show you your steps if you tap it (the one I have is a circle and has dots like a clock face and each dot represents a % of your goal. It will show time too). Not everyones jam, but it's not a big watch. They also have a swarovski crystal one that you can wear as a pendant. Cool! That's the waterproof one I linked to - they are cute! Aaron offered to get me one for Mother's Day and I was like, "Eh, not really interested." So he got himself one instead (my husband, in a nutshell) and now I kind of want one? I mostly lift weights these days though so I wonder how useful it would be. it would be nice if they had some sort of trial period so you could see! I didn't think I wanted one REALLY but love it. Ha, love this post. I have the Charge HR (had the first Fitbit, years ago and loved it but all it gave me was steps and I wanted more). Is your main reason for switching the looks? I'm just curious if you like the Blaze better for any reason besides the watch look!? And yes, their customer service is exceptional, I went through three of the first version and they always quickly sent me a new one, no questions asked! yeah I just like having a watch face to look at - which is silly! And I was surprised how much I like the workouts they provide too! I can read my texts as well which is nice! a few things: a.) i love my alta. b.) my kids found a way (begging aunts/uncles) to save enough money for the HR charge and you can use a 20% coupon at BBB. Right now they are on sale for $129, so you can get it for $103 with coupon c.) i tested my heart rate several times on the kids HR (after they are home from school) and I should see a doctor. during the day i'm sure my heart rate is fine. d.) there is also a waterproof activity tracker called garmin vivofit 2. I know you said this isn't sponsored but Fitbit should definitely consider sponsoring you because now I want one! I've been all 'don't care, don't need it' with the whole Fitbit trend but as soon as I read 'losing baby weight', I was converted. Glad you're liking yours! I just got a fitbit Alta 2 days ago and I'm obsessed! Although I do find that the steps are pretty off when pushing a stroller, or when holding a dog's leash. Totally agree with the charts and goals - it's a great way to challenge yourself! 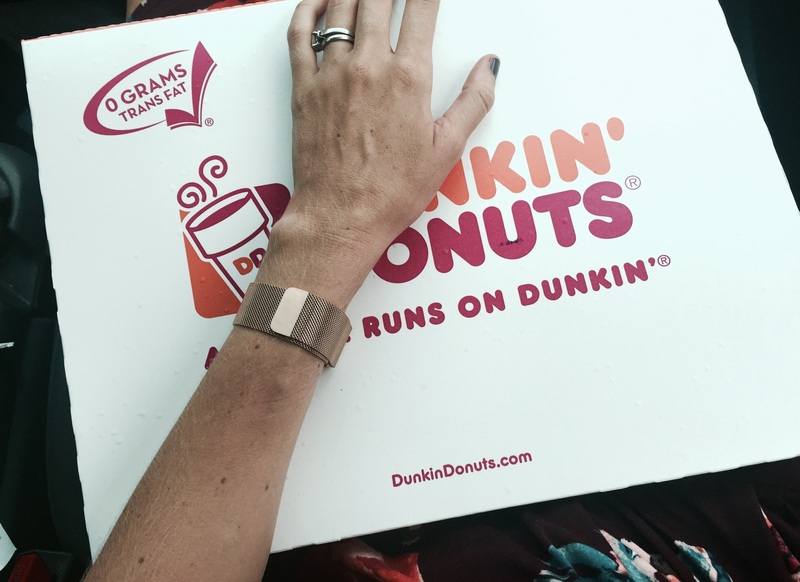 I am so glad you love your fitbit! I am the same way with working out. It helps me to have concrete goals and things to look at, such as numbers and graphs to mark my progress. I was shocked when I first got it because I'm a teacher and thought FOR SURE I'd be getting millions and millions of steps. Definitely a wake up call for me! I loved the app and thought it was super easy to use. I had the zip, though, which I was less than pleased with. It was the cheapest option, so it only tracked my steps and the calories I burned, which was fine (although the more I used the app, the more I wanted to know about other stuff), but after about six weeks, the battery died and I had to replace it. After replacing it a few times, I got fed up that it would stop tracking my steps and I wouldn't get credit for all of my walking. If I were to get another fitbit, I would upgrade, although my reasoning for the zip was that I already have a watch that I love and wanted something that didn't need to go on my wrist. I love the idea of the fitbit though and am hopefully going to find a model that works a little bit better. good to know! I considered the zip! thanks so much for sharing! I've been on the fence about buying one but this totally convinced me ! I loved mine till I lost it! My husband was not a fan, because I would walk laps at night just to out step my friends. I tried to get 20k a day. Might just put a new one a my birthday list. Confession: I have the One, Charge HR, and Alta. Love Fitbit and alternate device depending on what I'm doing/wearing. The app picks up my activity from any of the 3. Also have had their amazing customer service replace the One because I was devastated after leaving mine in a hotel room. I've been off and on with Fitbit but I will say I've always done the best with hitting my water goals when I use it. Plus when Joe uses his at the same time we get competitive-ha. I was just thinking it was about time to start wearing it again so maybe I'll pull mine back out. If nothing else, maybe I'll get embarrassed of my low step count and try walking more to get it back up?? PS we should be friends! I have an alta and it is the only thing that motivates me to get 10K steps. some days I still don't care but it's there and it knows. Also I love that I can put my phone in my purse but still get the vibration if I get a text, so I'm not randomly checking my phone all the time. 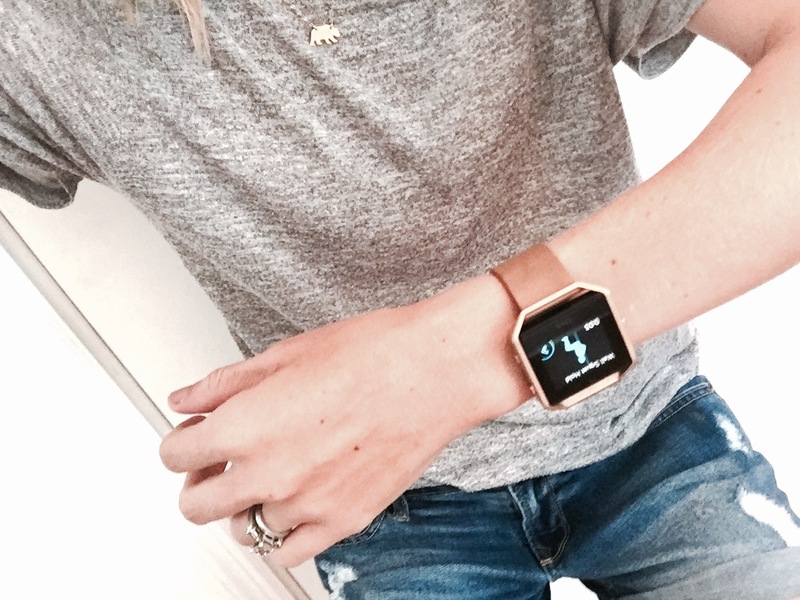 I have the Fitbit blaze and love it. My husband got me a personal trainer and the Fitbit for my birthday in June and it literally took me one month to the day to reach 10,000 steps lol. I changed my goal to 8,000 steps per day and I normally reach that goal and I love the firecrackers that go off when I do! My husband has the Fitbit surge and he cracked the screen like 2 weeks after he got it. He contacted Fitbit and they shipped him a brand new one in less than a week...free of charge!!! So their customer service in my book is amaze balls! I have the Charge HR and I loved it...until it completely fell apart. The band comes off, the side and back of the main part is broken, and every couple hours it just shuts off. I had it for one year and 2 months. Fitbit will replace for free IF you bought it less than a year ago. The best they would offer me was a 25% discount on a new Fitbit purchase. Normally, I'd jump on it, but I'm not interested in buying something that has proven to be low quality. I'll be trying a different brand. Also, I can totally relate the the Fitbit motivating me to move more. 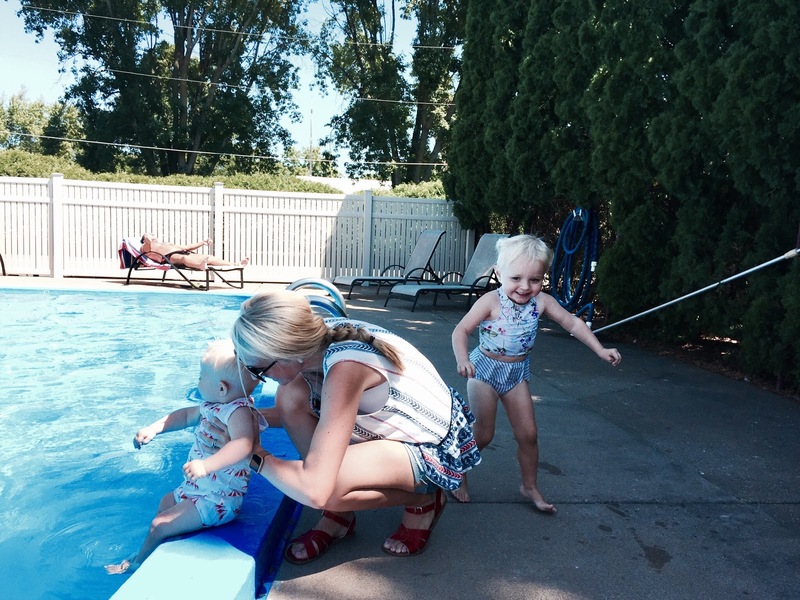 I thought for sure my kids kept me active...but I kept only hitting 4-6k. So I got intentional about it and I loved that! Oh! I should have thought about putting it on my shoelace, I tried my ankle but it didn't fit. Good idea! I have the Fitbit One, which is the itty-bitty one the size of your thumb that most people clip onto their pocket or something. It appealed to me because I don't love having something on my wrist all the time. But once I started wearing more skirts and dresses the summer after I got it, it was harder to clip onto my clothes. Solution? I wear it on my bra, clipped securely on the little connector between my bra cups. I'm fairly well-endowed, so it's safely ensconced and doesn't show any weird bumps with tighter shirts or anything. It's been the perfect solution for me, and I'm far less likely to forget it on my bra than in my pocket, which is good for avoiding a washing disaster. :) It's a great little product! 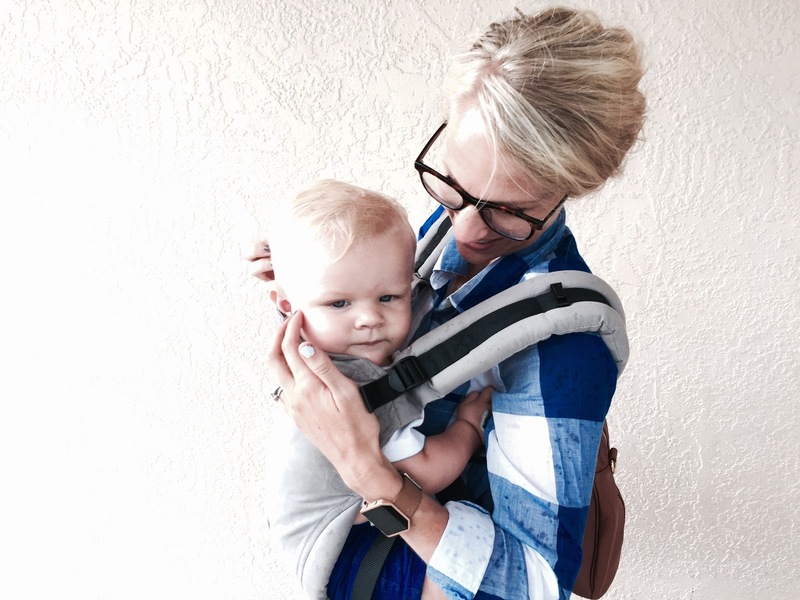 I have a Jawbone and loved it... until I got pregnant. THen wearing it just got depressing. I went from averaging 13k - 15k steps a day (because I was training for my wedding) to averaging 5k - 7k at most! Energy had significantly decreased which can be attributed to the decrease in steps, but I started getting so hard on myself my husband took it away... BUT I can say that I will 100% be wearing this amazing band again once I have had my boy and am feeling like my old self again! Did you buy the small or large watch face?? I am sorry to say that my experience with Fitbit Customer Service has not been good. After using the original Fitbit band, the one that was recalled, I bought a Charge HR. When the band separated from the display, Fitbit sent me a replacement. Now, when the band separated in the same place on this one, Customer Service refused to replace it, claiming that the limited warranty only applies for one year from the time of the first purchase and the second defective band isn't covered. I was offered a 25% discount on purchase of another device but I am done with Fitbit. Ok, so now I'm interested. BUT, I'd want to get a his&hers. Are some (like the Alta) geared more towards women while others men? Or are they all pretty ac/dc? Love my Charge HR. Wore it in the pool and it didn't survive so I got another. I have the Fitbit flex which I got from my brother who wasn't using anymore. I was using for awhile but then stopped, now I've been back using for a couple of weeks. Again looking to get more motivation to do more. The reason I put it down is because the flex doesn't tell time. So I have a watch on one arm and the flex on the other - kinda annoying. So I'm currently looking into one with a watch as a Christmas present. Thanks for the feedback. I like the idea of having different bands for casual vs dressy situations. But I also need mine to be waterproof as we are pool people. I love FitBit too! Has your workout goal for at least 10 mins./day changed or do you have a separate goal to get on your steps?